Adventure Time is one of the best TV shows for kids that's currently on the air. It's so good that it has real appeal for adults, too. 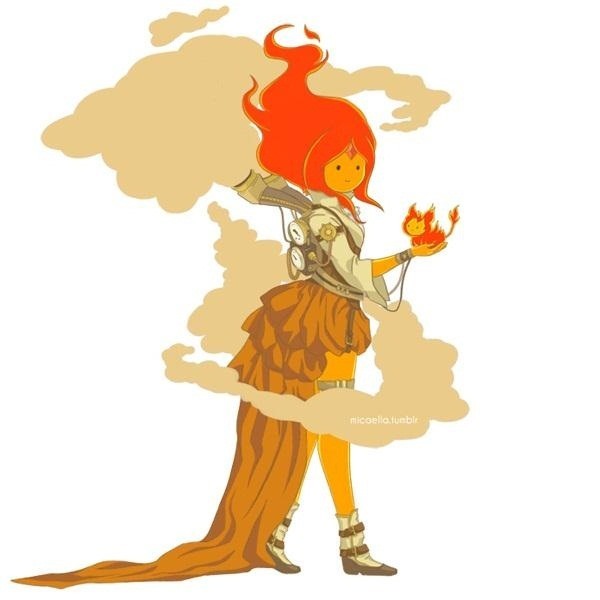 Just do a Google image search for "Adventure Time costume" and you'll see what I mean. The drawings are nice. 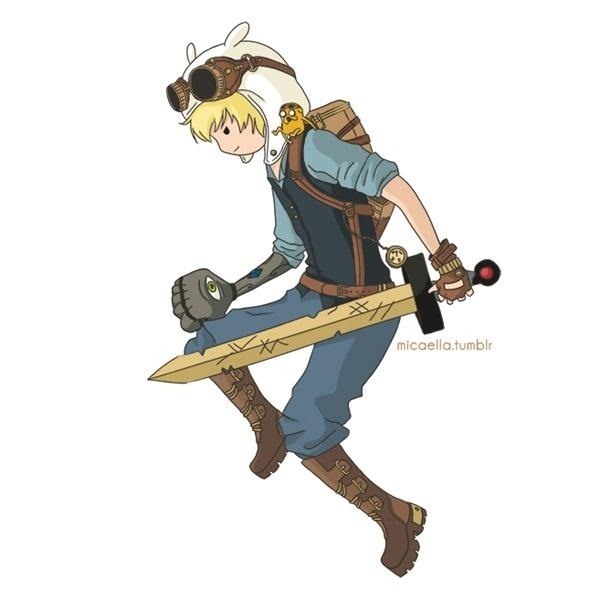 In my imagining of a steampunk Adventure Time (yes, I've thought about it!) 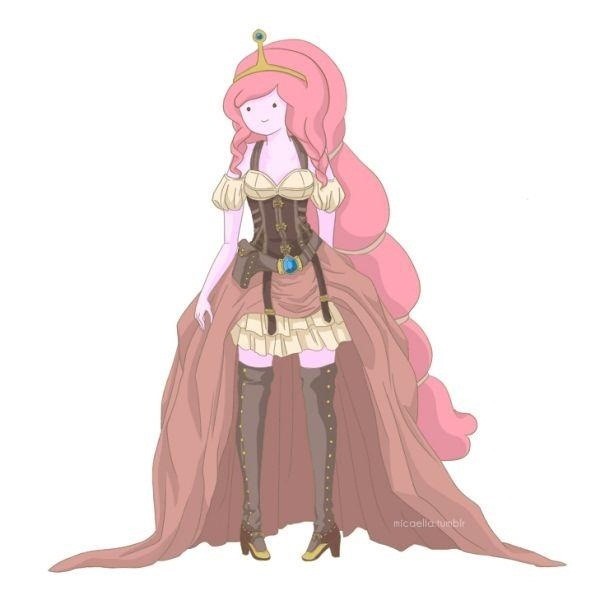 Bubblegum, Marceline, and Fire Princess wouldn't follow the 'show more skin' trend, though. They are ladies. I can see bustles, corsets, full length skirts. 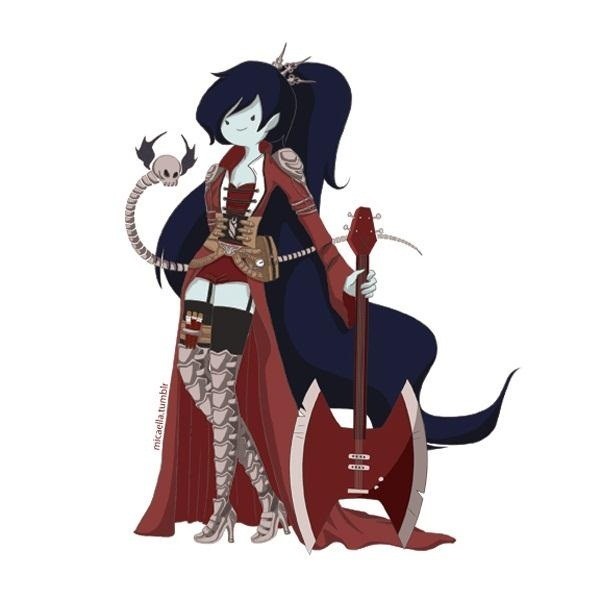 Actually, Marceline would probably do menswear. She's pretty butch. I completely agree! The designs look great, but they don't fit the characters' personalities as well as they could.